House renovations have been going somewhat slowly over here. 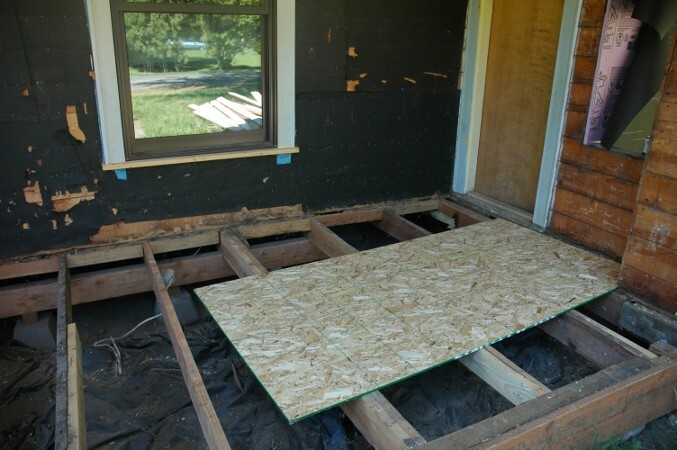 For about two weeks were were walking on this lovely pieces of OSB plank. I was very proud of myself for not falling through it and breaking both of my legs. It was quite the feat! 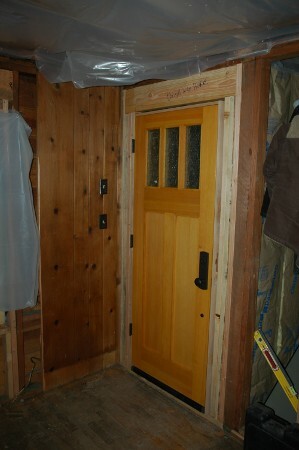 Our new door was installed. I can finally open our front door by myself now. It is beyond amazing. This is what it looks from inside our house. It makes the whole rest of our house look pretty shabby. The new porch had to be shimmed to make it level again. All in all I think it looks pretty nice. 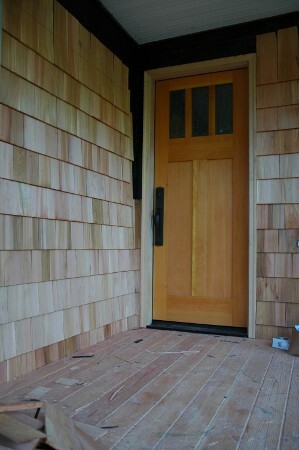 This picture is several days old now and more cedar shingles have been installed along with several corbels. I can’t believe how nice it is starting to look. Your house is going to be AWESOME. I love it. Let’s trade! Looks great! I love the shingles. Would so not work on our house, but look fabulous on one like yours! 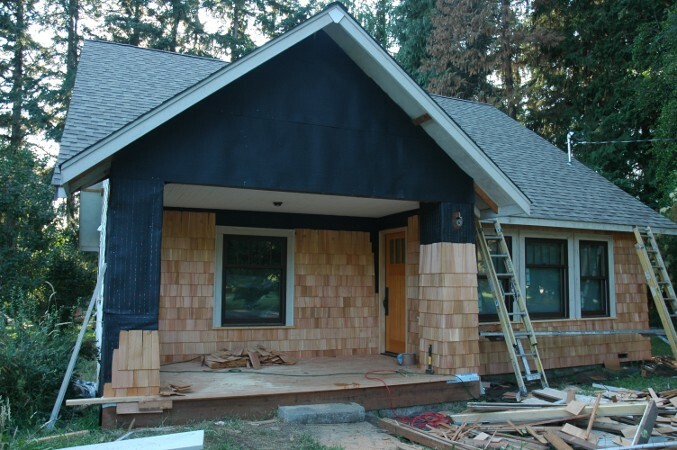 Yes, shingle siding definitely looks best with a few specific styles of houses. It’s grown on me since we moved in. I like the shingle style with craftsman houses, but I wasn’t sold on the pillars. Now I’m happy that we kept them the same, because I’ve never seen a house that looked quite like ours. Ya know what? I had tears in my eyes, seeing that! AWESOME! And AWESOME some more, just for good measure. It looks fantastic, what a great achievement! Well done to the two of you! Ah, thanks! We’re really happy to see the progress as well. It’s possible that things will be finished and painted in the next couple weeks. After three years of missing corbels, rotted siding, and a listing porch it will seem like a new house (from the outside). Just in case it was ambiguous, we did hire this work out. We thought it would go faster as a result, but I’m not so sure. I may not be the fastest DIYer, but I do show up when I tell myself I will.